Hamburg-based IC was one of 45 members of PRGN that gathered in Cape Town, South Africa, to celebrate the Network’s 20th anniversary and build a house for an impoverished family. Partnering with the Niall Mellon Township Trust, PRGN members from around the world met on April 18 to complete and present “The PRGN House” to a needy family. The build occurred the day before the opening of the Network’s semi-annual business meeting. The Network’s 45 member agencies pledged more than $7,000 and volunteered their “handyman services” for a day in order to present a township family with a new home. “When we considered how to mark our 20th anniversary, our members were unanimous in wanting to create something of lasting value,” said Uwe Schmidt, CEO of IC. “What better way to give back than to donate our time and talent in the city in which we have chosen to celebrate our anniversary.”. The Niall Mellon Township Trust is a house-building charity started by Irish philanthropist Niall Mellon. While on a visit to South Africa, he was so moved by the poverty he saw that he used his own funds to establish the charity. The day after completing the house, network members opened their three-day business meeting in Cape Town. The network was addressed by Premier Helen Zille, leader of the opposition party; Chris Bishop, editor of Forbes Africa; and Tim Hughes, managing director of ReadDillon International. 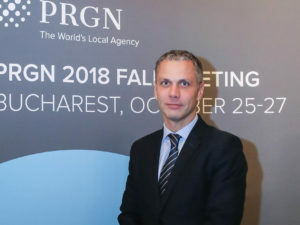 PRGN was formed in 1992 when Edelman Public Relations decided to disband its affiliate network. Some of those affiliates chose to continue their partnership by forming a new organization. Started in Phoenix, Ariz., the group adopted the name The Phoenix Network, as a nod to its rebirth from the ashes of a disbanded group and the city of its founding. 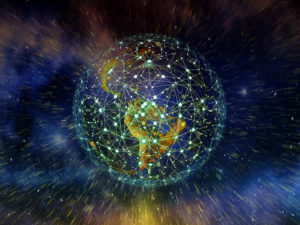 When the network reached its 10-year mark in 2002, it began recruiting members internationally and changed its name to the Public Relations Global Network to better reflect the strategic growth of the network. The Trust was founded in 2002 by Niall J. Mellon, an Irish entrepreneur and philanthropist, to provide homes to impoverished communities in South Africa’s townships. The Trust has built more than 20,000 houses, providing homes for more than 100,000 South Africans.